When I was growing up, apps were not a thing. In fact, I would have laughed back then if someone tried to explain them to me, let alone to my parents. I got my first car at 16, purchased by my dad, and in hindsight, I feel that this purchase was probably not with my mom’s blessing but it was what it was and I was a driving queen. If I could go back in time, I would want to earn the money to buy my first car. Reason being, when I decided to buy a new vehicle, I tended to take better care of it because I had to earn the money to buy it and I was more careful driving it than I ever had was with my gifted car. Fast forward to my own kids. When my kids were growing up, I did not buy them a car, they purchased their own first cars. They knew if anything happened to it, they’d have to pay for the damages and they, like me, took very good care of their vehicle. And we’re going to fast forward again. To my wonderful, angelic, so stinking cute grandkids. I’m a proud grandparent. The truth. My oldest grandchild got his drivers license last month and he was given a truck when he was about 15. I say given but it was a joint effort. He had to work to pay to fix it up. It is not a new truck by any means but it’s his pride and joy. It required a lot of work to get it running and he also helped in that regard. Working on the truck gave him a sense of ownership and he’s very proud of his first vehicle. His parents being more tech-savvy than I was and probably still am started looking for ways to keep him safe when he turned 16 and they knew that he’d be driving alone back and forth to school. Not only him but my granddaughter as well who will be getting her learners license next month. 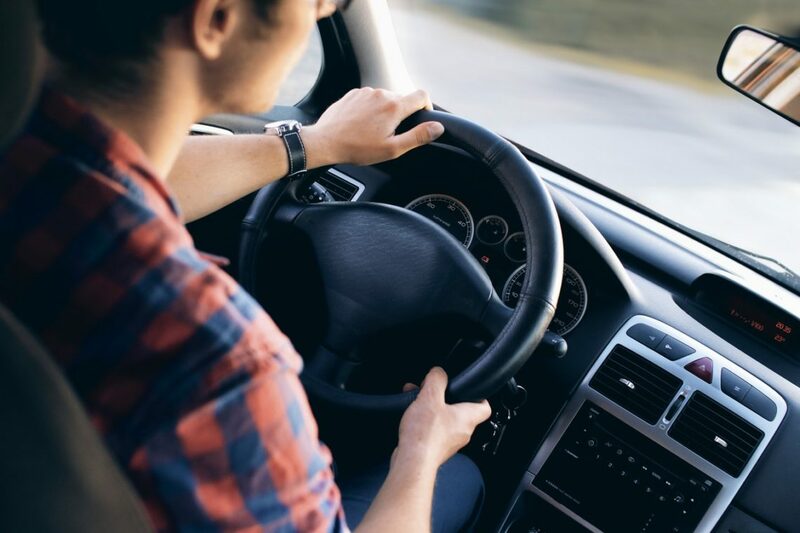 With two kids at driving age, they knew that they wanted to know where they are at all times but they also wanted to know other things like the speed they’re going and the speed anyone is going if they’re in someone else’s vehicle. I just can’t wrap my head around technology sometimes when it comes to how smart apps can be. 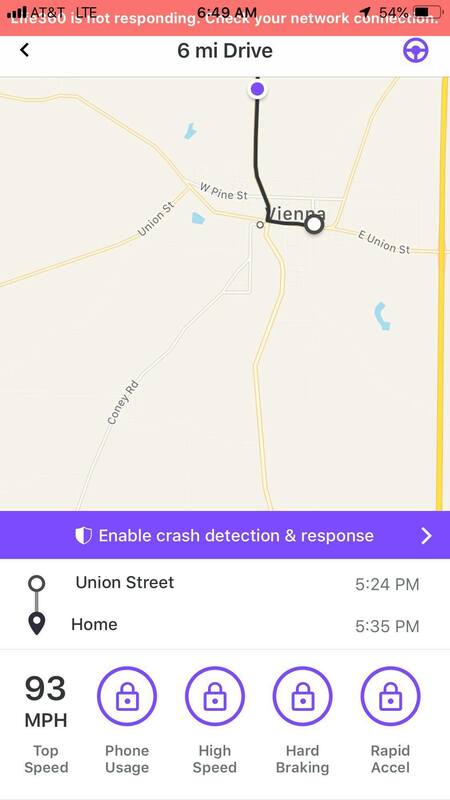 So, after searching the world wide web for apps, they found the Life360 App. And that’s how Tyler was busted. Now here is a screenshot of what got him in trouble. He was not driving, but he was in the vehicle of a friend who was and when my daughter and son-in-law saw how fast they were moving, they had a conniption fit. It will be a long time before he can ride in the vehicle with the friend who was driving at the UnGodly high speed of 93 MPH in a 55-speed limit area. Since this happened, we’ve all downloaded the app and I’m working at becoming more tech savvy when it comes to apps. There are quite a few things this app can do and I’ll leave a link so you can learn more about Life360. I want to encourage my friends and family members (and anyone who stumbles upon my blog) to download this app if you have kids who are driving age or even if they ride in the vehicle with someone else. I don’t normally push apps but this is one that I think could save lives and it certainly is worth the money. If you don’t believe me, sign up for the free trial to find out for yourself.